This is generally the way I structure my days. Everything is completely blank and empty, ready for you to fill out. 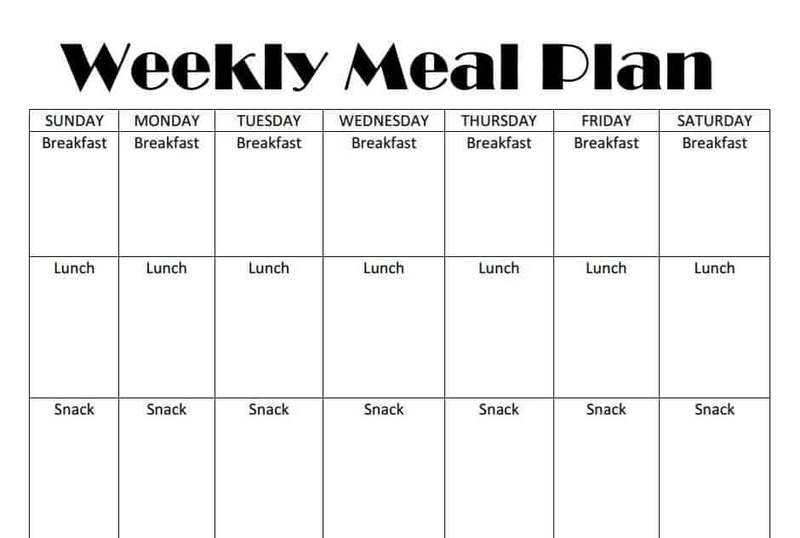 I'm going to upload a few filled-out meal plans that I actually follow as well in another post. The best way to structure your eating, save costs by not wasting food, and save time by knowing what you're fixing is by making a simple meal plan and sticking with it.